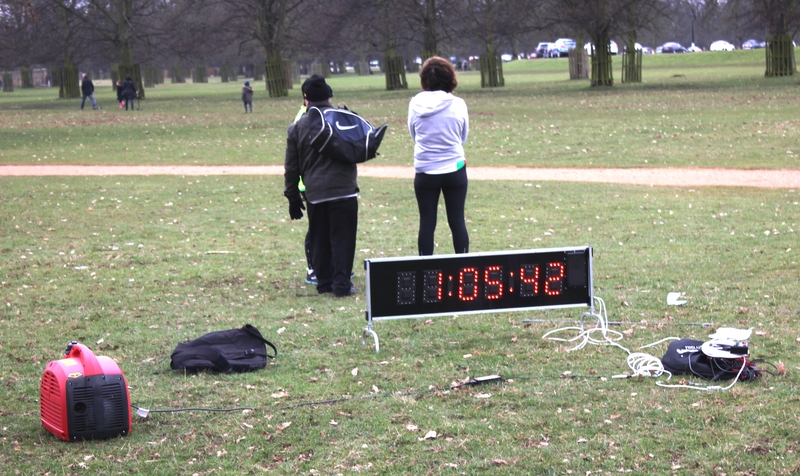 I stumbled upon my first official 10 km event, Run Through Bushy Park, on Twitter in February. 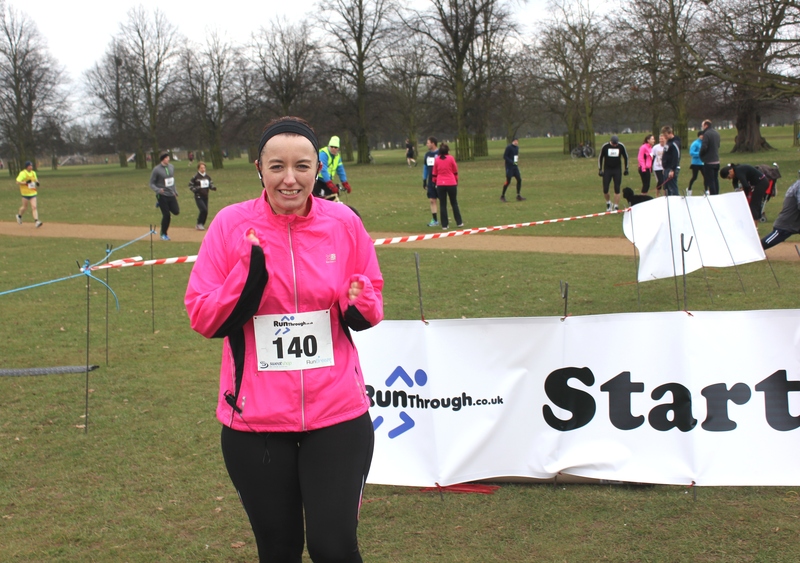 I was overdue in getting involved in organised runs as a way of training for my first half marathon in April, Vienna, registered for the previous September, and as Bushy Park is on my door step I took this as an opportunity to start. Prior to this I had only completed a handful of half-hearted 8 – 11 km training runs around the streets near home, including one evening run cut short due to getting lost, from which I had to get two buses home! The run started at a reasonable 10.30 am Sunday, with a meeting point close to the Diana Car Park near the Hampton Court Palace Gate entrance. This was also handily close to the public toilets and tuck shop, for any supporters attending. This particular March morning was windy and brutally cold (approx. -1°C) despite wearing a long-sleeved top, full length tights and two jackets, and was even more so once in the park due to lack of wind shelter (although it was unsuccessfully sought behind a tree). Registration and collection of my race number was quick due being a small-scale event (according to race results there were 201 runners and 171 Did Not Starts, likely due to the cold). Despite this however about one-quarter of runners were attached to running clubs, with some running t-shirts indicating clubs from as far afield as Peterborough and Gloucestershire. With 20 minutes to kill before the start, I warmed up by running a small loop around some trees and stretching, with Dano taking on the role as trainer (being the more experienced half of Run Dabblers). I could not wait to start simply to warm up and feel my fingers again! As myself and the other runners moved onto the start line, I begrudgingly removed my top jacket, turned my tunes on and remembered why I was here; I had a half marathon to run real soon! With the signalling of the start, I headed off giving a quick wave to Dano who was taking photos from the sidelines. The start of the course took us around the ponds on the park’s eastern side. My main priority was to not go too fast in order to prevent stitch, which I had suffered in a couple of previous training runs forcing me to stop. As I focused on finding a comfortable pace I observed the runners around me who appeared to be of all ages and abilities and was reassured that I did not stand out like a total amateur. Distance markers were positioned at each kilometre and upon seeing the 1 km marker I mentally crossed that off then looked forward to reaching those subsequent. At approximately 1.5 km we approached the park’s central traffic road which we ran alongside of on the grass until Teddington Gate, after which we continued on a clockwise loop of the north-eastern section of the park. The freezing cold was becoming a distant memory as my body temperature warmed up. I was, however, still trying to attain my optimal running pace and wasn’t feeling comfortable. The 3-4 km section was the hardest for me as the dreaded stitch came on. I maintained a steady but comfortable pace as to not aggravate it but thoughts of pulling out of the race started to cross my mind. The thought of Dano however, waiting with anticipation at the finish line, quashed them. Soon after thankfully, I reached my optimal pace and began to enjoy it. Between 4-5 km I took more notice of the runners around me and, at times, ran alongside one or two with a similar pace, or played catch-up with those immediately in front of me. Ahead, I saw the course would eventually direct us back to the starting area where I knew I would see Dano for some much-needed encouragement. Reaching 5 km Dano greeted me by thrusting a Powerade in my hand as I gasped “Can I stop now?”. From this point on I was on the countdown to 10 km. The second half of the course was largely a repeat of the first. Race volunteers at the kilometre markers offered encouragement and direction. I found myself now running with the people who I would finish with, including a couple I had hoped to overtake and who gave me the opportunity to do so, albeit by default, when they stopped at the public toilets. Two less people to finish after I thought! By 7 km a sense of relief came over me knowing I would soon be finishing. Coming around a familiar bend, I saw in the far distance the finishing area. 9-10 km seemed the longest as I could think of nothing but reaching the finish line. Eventually, turning the last corner I had a sudden burst and with my finishing time in mind, I sped up along the home strait and crossed the line to much relief albeit BEHIND the couple who had stopped at the toilets! Nevertheless, I was just glad to have finished; my English Breakfast was calling. Run Through operate running events in South London, including Wimbledon and Brixton and charge a reasonable £12, offering a £1 discount per extra event booked if booked at the same time. Bushy Park is a beautiful place to run and is host to other organised runs including the Capital Runners and the weekly parkrun. Mind the wild deer though!